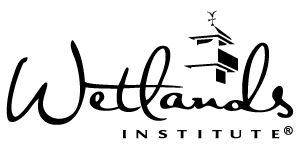 The Wetlands Institute was founded by Herbert Mills in the late 1960’s, thereby fulfilling his life-long vision of creating a world-class research, education and conservation center at the Jersey Shore that would educate people of all ages about the beauty and wonders of the coastal environment, and the importance of that environment to their daily lives. His dream was to inspire everyone to want to conserve and sustain that environment forever. Herb loved birds and nature all his life. In fact, he joined the National Audubon Society at the age of seven. 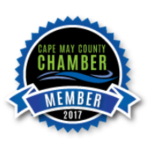 Many of his maturing years were spent as an executive in the glass and canning industries of South Jersey. 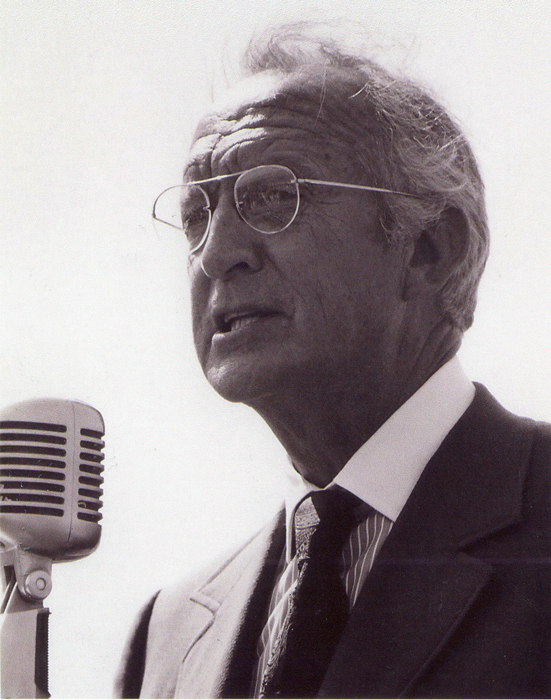 During those years he further developed his abiding interest in conservation issues, so much so that he left the business world in 1967 to became the Executive Director of the World Wildlife Fund. 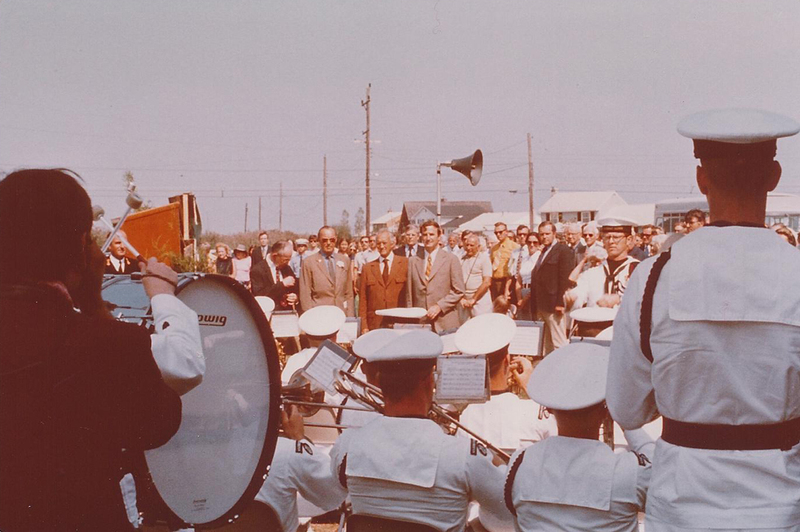 In 1969, under his leadership, the World Wildlife Fund purchased 6,000 acres of salt marsh in Middle Township. 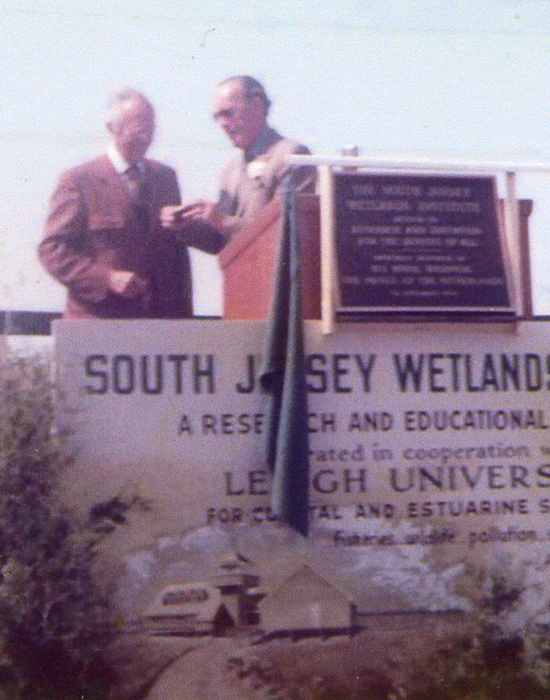 34 of those acres became the site of the Wetlands Institute’s facility. The rest were held by the World Wildlife Fund until being transferred to New Jersey’s Green Acres Program. Herb also raised the funds for the design and construction of our main building which was designed by. Malcolm Wells, a world-renowned and environmentally-oriented architect. In its earliest years the Institute was run by Lehigh University under a dollar-a-year lease. 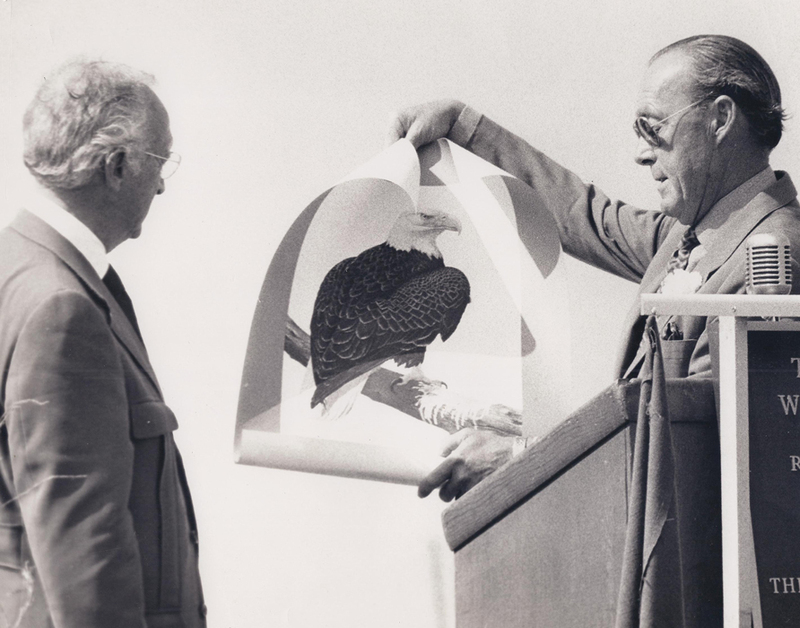 That relationship continued beyond Herb Mills’ untimely death at the age of 62 on October 21, 1972 –while addressing an ornithology meeting at Cornell University–, barely a month after the Institute’s dedication ceremony. After a few years, however, the Institute and Lehigh parted company amicably. The late Marion Glaspey, a shy but very determined woman, who succeeded Herb Mills as Chairman of the Board, guided the Institute for several difficult years as the Institute struggled to become a self-sustaining, independent identity, and garner and maintain the kind of financial support that is vital to any nonprofit organization. In addition to being totally dedicated to the Institute, Marion was a talented artist and photographer, teaching classes in both subjects, and–most significantly–she was a passionate gardener. (She’s the “Marion” for whom our Marion’s Garden is named.) She remained on our Board of Trustees until her death in 2000. 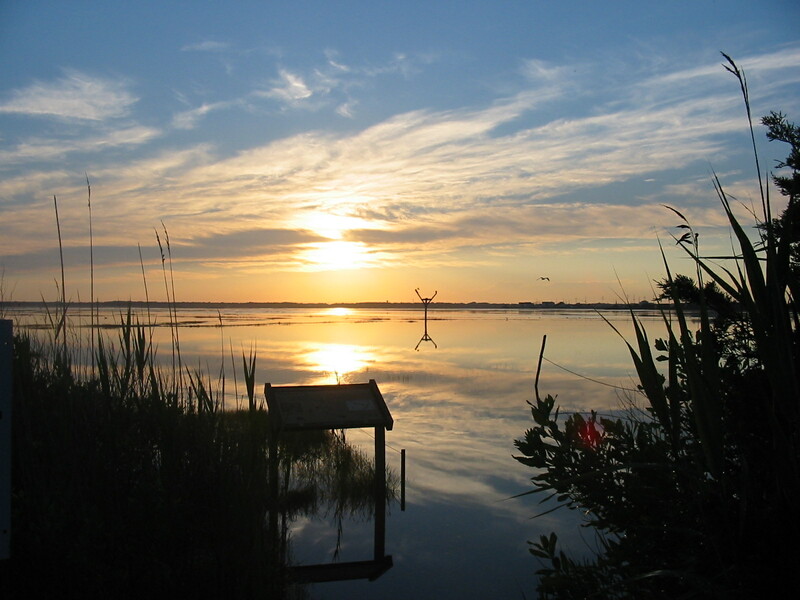 Through Marion’s leadership and that of her successors, the Institute has evolved to become a leader in coastal environmental education, research, and conservation. At present the Institute is supported almost entirely by funds from private sources, receiving only an occasional government grant for a special project. Coastal communities and coastal ecosystems are “critical areas” –in the front lines as it were– for a host of enormous planet-altering phenomena that are in the news every day: Global warming with concomitant predicted rises in sea levels and unknown impacts on the intensity and frequency of violent storms; depletion of fisheries; beach erosion; species decline; increasing human population pressures; vigilance against natural resource degradation; “sustainable development;” alternate energy development, including offshore wind turbine farms; etc. We have long held, and it is now widely recognized, that our broad beaches can best be protected by retaining natural checks against the elements – dunes, natural vegetation and the marshland reservoirs which receive this excess water. In addition to being a massive source of flood control, and water purification, the wetlands are the “nursery” to hundreds of species of fish and shellfish that sustain mankind. Beyond the macro-dynamics of the giant emergency reservoir that Herb Mills spoke of , and wetlands being an immensely productive nursery for the seafood that we eat, individual species that live in the wetlands are essential to maintaining the health of the overall system. For example, the diamondback terrapin–the conservation and protection of which the Wetlands Institute has long championed– is a key player, as a predator of the periwinkle snail whose exploding populations in certain southern states caused the loss of thousands of acres of wetlands –converting marshes into mudflats. Scientists have determined that the periwinkle snail’s surge was caused in large part by over-fishing of the snails’ natural predators which include the diamondback terrapin.